2010 Aveo/Aveo 5: Significantly updated for 2009, the Aveo and Aveo5 are mostly carryover models for the 2010 model year, receiving only modest powertrain enhancements that lead to marginally better fuel economy. 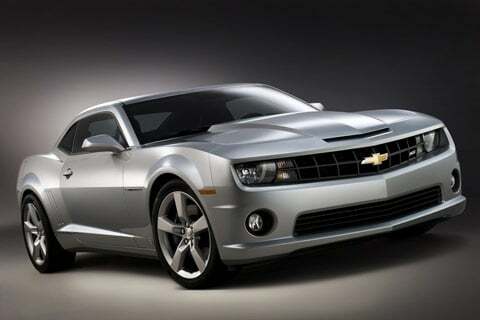 2010 Camaro: Chevrolet resurrects the Camaro for 2010, taking design inspiration from the 1969 model, but with thoroughly modern technology within the cabin and under the hood. 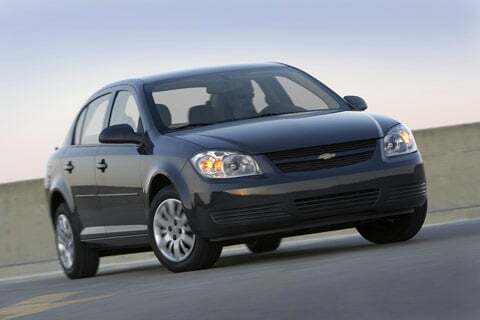 2010 Cobalt: The Chevrolet Cobalt carries over without significant change for 2010, only adding two new colors and enhancing the list of equipment in the optional My Link package. 2010 Corvette: One year after welcoming the , the Corvette lineup gains another new model for 2010-the , featuring wide-body styling, a wider track and race-bred suspension. 2010 Equinox: The all-new, second-generation Chevrolet Equinox arrives for 2010, featuring exterior design inspired by the Malibu sedan and Traverse crossover utility vehicle, two all-new engines, and numerous standard and optional features. 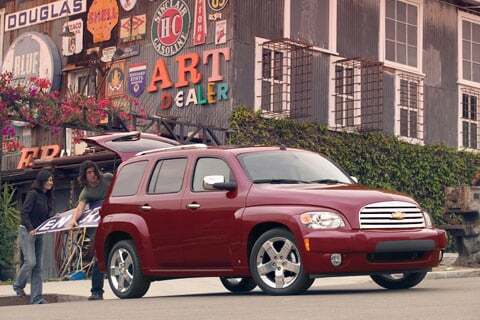 2010 HHR: The Chevrolet HHR is a carryover for the 2010 model year with only minor equipment changes. These include a rear-vision camera, revised cashmere interior color scheme, and three new exterior colors. 2010 Impala: The Impala carries over for 2010, with only a handful of new colors and additional equipment for mid-range 1LT models. 2010 Malibu: Changes for the 2010 Malibu include three new exterior colors and the replacement of the driver's seat manual lumbar control with a new, power-adjustable control. Also, 17-inch chrome-clad wheels are standard on 2LT models, and the Malibu Hybrid model is discontinued. 2010 Traverse: Changes for the 2010 Traverse are limited to one new exterior color, a USB port on the radios and the inclusion of OnStar 8.2. 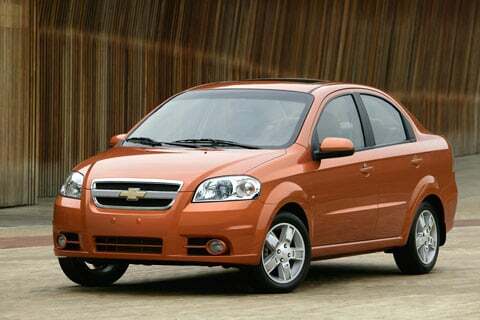 The Chevrolet Aveo receives minor powertrain revisions for 2010 that enhance its fuel economy. Automatic-equipped Aveo models are rated at 25 mpg city/34 mpg highway, while transmission gearing changes to the manual-transmission models enable improved highway fuel economy. Also, all models benefit in 2010 from a slight increase in horsepower. After a seven-year hiatus, the new Chevrolet Camaro is now back in dealer showrooms. 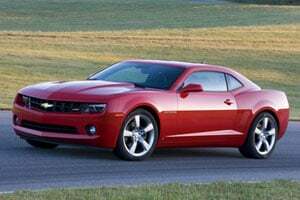 Combining great looks, performance and advanced technology, the 2010 Camaro honors its heritage while delivering on customer expectations of a sports coupe for the 21st century. Base LS, LT and SS models are available for 2010 with V-6 and V-8 engines, a full complement of standard safety equipment, and a long list of options. There are few changes for the Cobalt lineup for 2010. Not surprising, considering the Cobalt's future is up in the air due to the impending arrival of the all-new, compact Chevrolet Cruze sedan that is expected to debut in the summer of 2010. 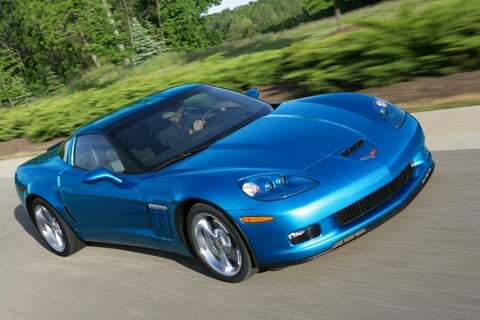 Nevertheless, Chevrolet has enhanced the optional My Link package and introduced a couple of new paint colors. One year after welcoming the , the Corvette lineup gains another new model for 2010-the , featuring wide-body styling, a wider track and race-bred suspension. Significant changes for the rest of the 2010 Corvette lineup include a revised paddle shift controller for models equipped with a 6-speed automatic transmission, the addition of standard side air bags on all models, and a host of performance upgrades. First introduced as a 2005 model, and updated slightly for 2007, the Chevrolet Equinox gets a complete redesign for 2010. With exterior design inspired by the Malibu sedan and Traverse crossover, the new 2010 Chevrolet Equinox crossover utility vehicle (CUV) has the same 112.5-inch wheelbase as the previous version, but is an inch wider and about one inch shorter. The front track is also wider. 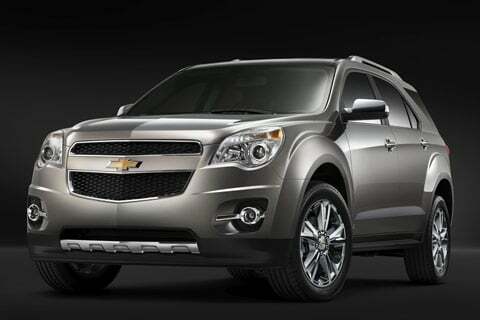 Available in LS, LT and LTZ trims, the 2010 Equinox is available with all-wheel drive (AWD). Two all-new engines are offered-a 2.4-liter 4-cylinder and a 3.0-liter V-6. First launched as a concept car and introduced as a 2006 model, the HHR's boxy retro look is reminiscent of the classic 1949 Chevy Suburban. 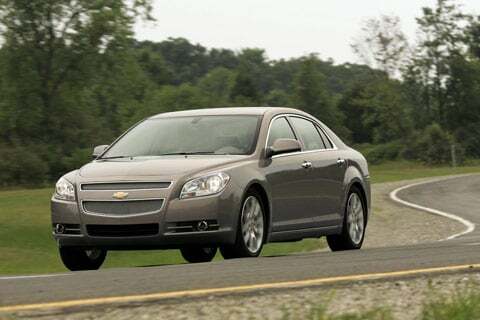 The front-wheel-drive (FWD) HHR crossover vehicle shares the same platform as the Chevrolet Cobalt coupe and sedan. Very little is changed for 2010; new items are limited to an available rear vision camera, revised Cashmere interior, and three new exterior paint colors. 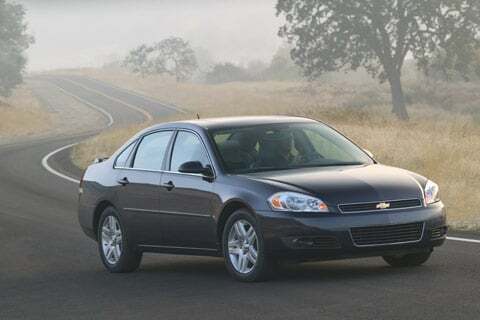 The 2010 Chevrolet Impala is offered in three models: LS, LT and LTZ (the performance-oriented SS model has been discontinued). Each model has identifying exterior trim cues. Essentially a carryover for 2010, the only significant new item on the Impala is a revised equipment list for 1LT models, as well as a handful of new exterior paint colors. Essentially a carryover from 2009, the 2010 Chevrolet Malibu features a 6-speed automatic transmission standard on 1LT models, 17-inch Chrome Tech aluminum wheels standard on 2LT models, power-adjustable driver-side lumbar instead of manual lumbar on all models, and five new exterior colors. The Hybrid model is also no longer available in 2010. Introduced for the 2009 model year, the Chevrolet Traverse is a crossover SUV with the upscale design, standard features and people- and cargo-hauling capability found in many larger SUVs. 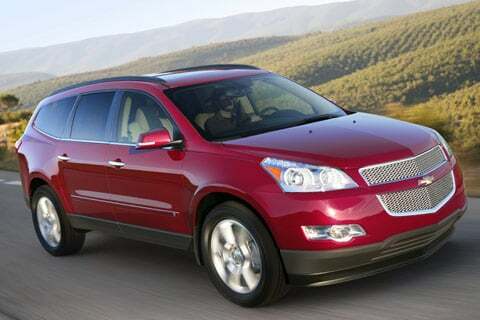 Offered in LS, LT and LTZ models, in both front- and all-wheel-drive configurations, the Traverse is carryover for 2010.